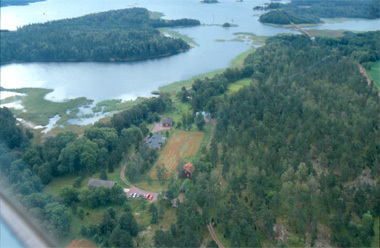 Husö biological station belongs to the Envionmental och Marine Biology at Åbo Akademi University. The station is situated in Finström on the Åland Islands in SW Finland. The station functions as the base for aquatic studies, but also botanical, mycological and entomological studies are conducted. The station provides space and equipment for experimental aquatic ecology, laboratory analysis, biological sampling as well as field investigations of coastal areas and lakes. Driving directions from Västra hamnen (the Western harbour where most of the ferries arrive): From the harbour drive along “Storagatan” until you reach “Västra Utfarten” and follow the sea shore until You come to a roundabout where you should drive towards Godby. Follow the main road for about 8 km and turn to the left at the sign of Eckerö, Näsby, Gölby, Andersböle. Follow the road to the right and after 1 km turn to the left towards Emkarby, Eckerö, Näfsby. 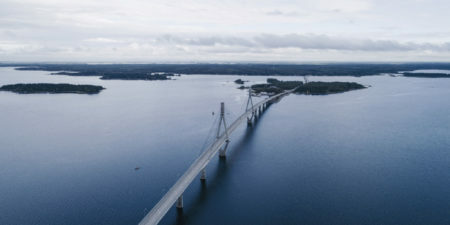 Drive about 6 km until the turn of Svartsmara, Pålsböle, and drive to the right. Drive 2.2 km and turn to the left at Bamböle, Bergö. Drive along the road for about 7 km (over the bank) and turn right at the sign of Husö biologiska station, and two mailboxes. Leave your car at the Parking space close to the big barn.